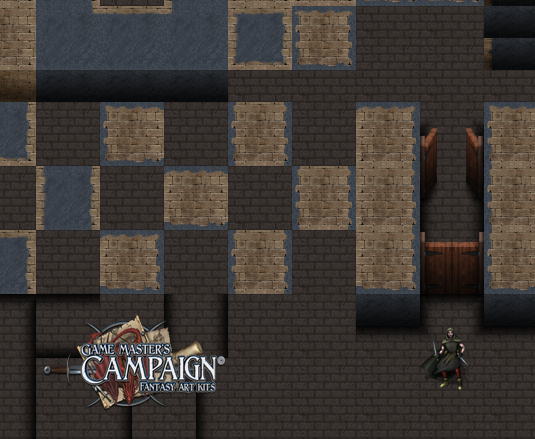 Working on the first set of dungeon walls/floors and inventory overlay tiles in the Roguelike art kit series, this one will have 2 types of walls with transitions between the two types, created in a 2.5D style. It will also include doors, a few types of floors and other appropriate tiles for a dungeon. A work-in-progress screenshot can be seen below.